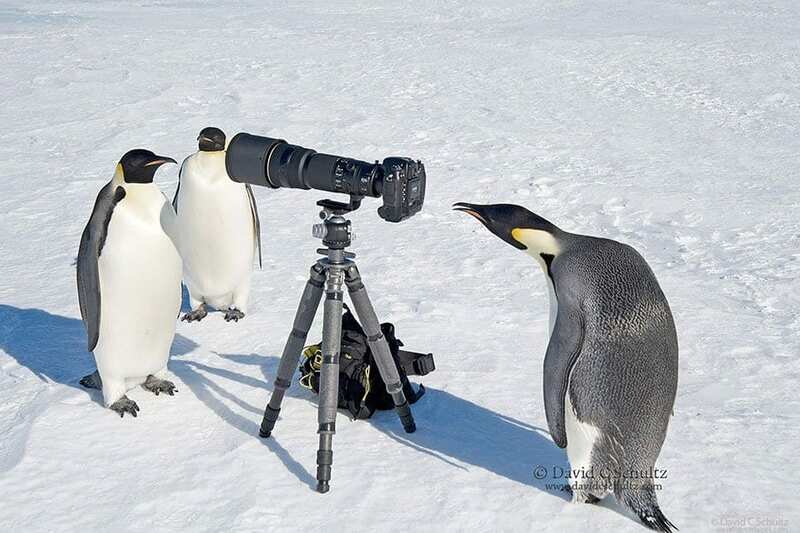 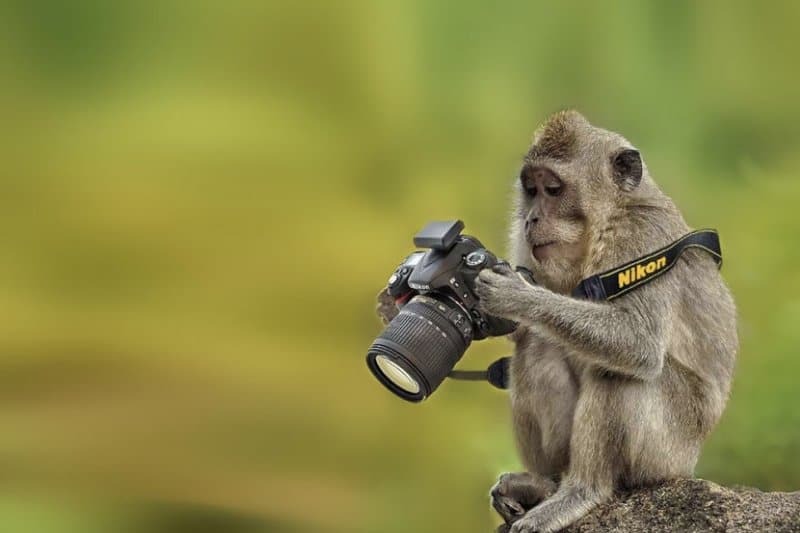 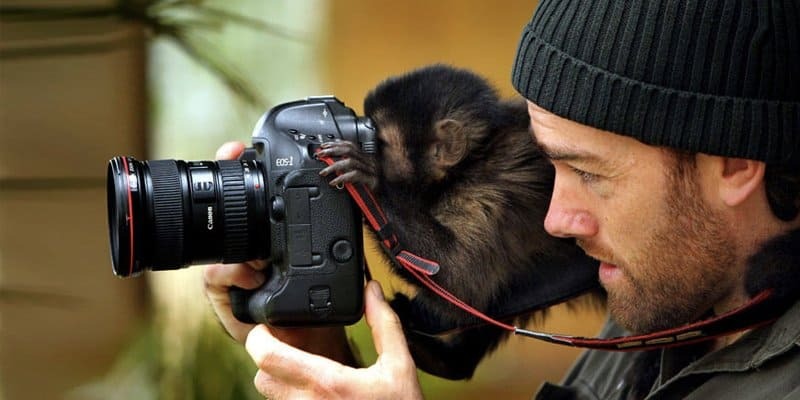 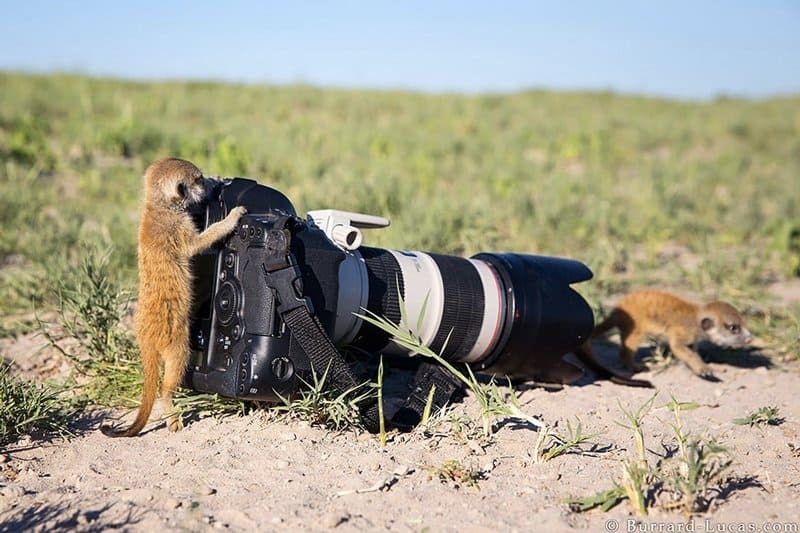 The photographer trains his little monkey friend how to use the camera to be the next top wildlife photographer. 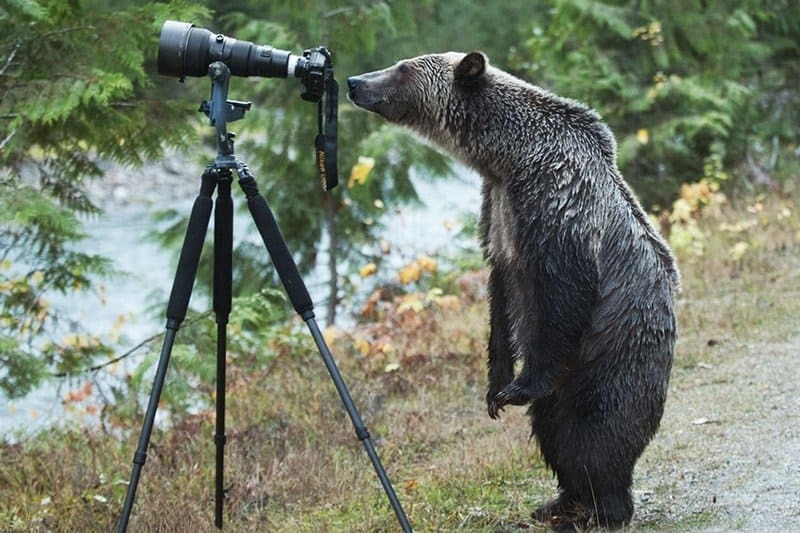 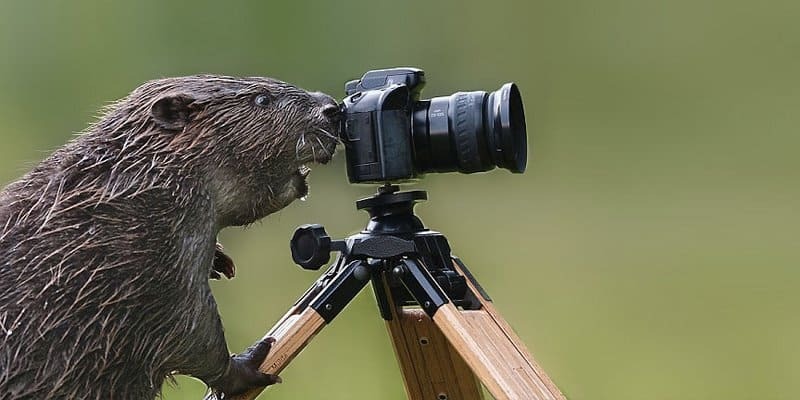 Beavers are always known to be crafty and industrious — who knew they could be potential creative photographers as well. 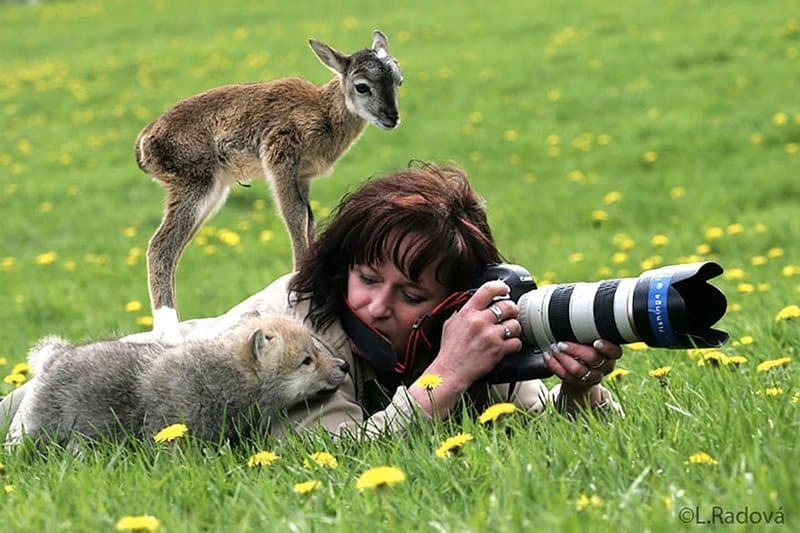 Altogether now: Awwwwww! 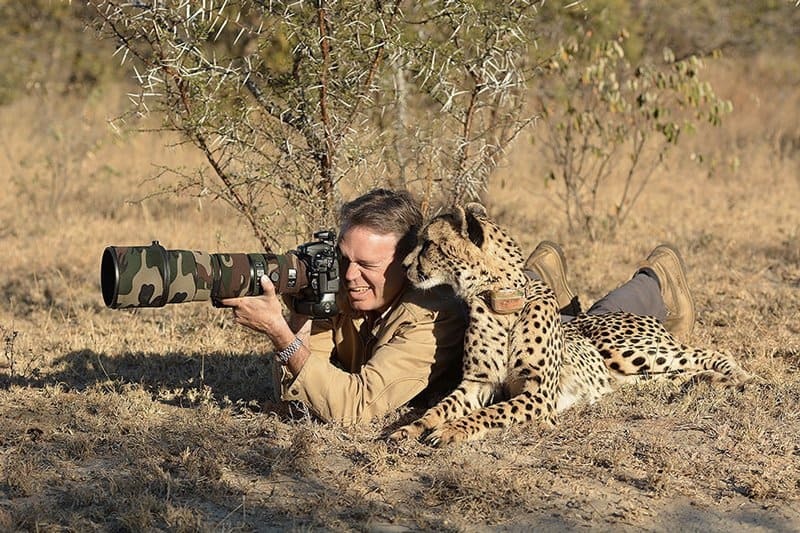 This is probably the most perfect photo in history. 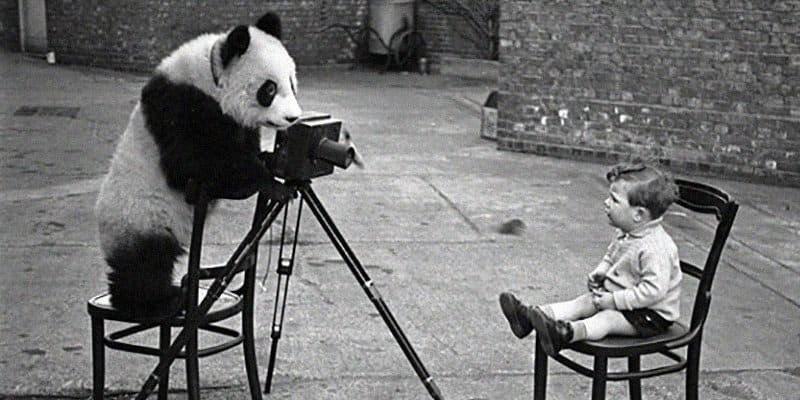 A panda and a little boy. 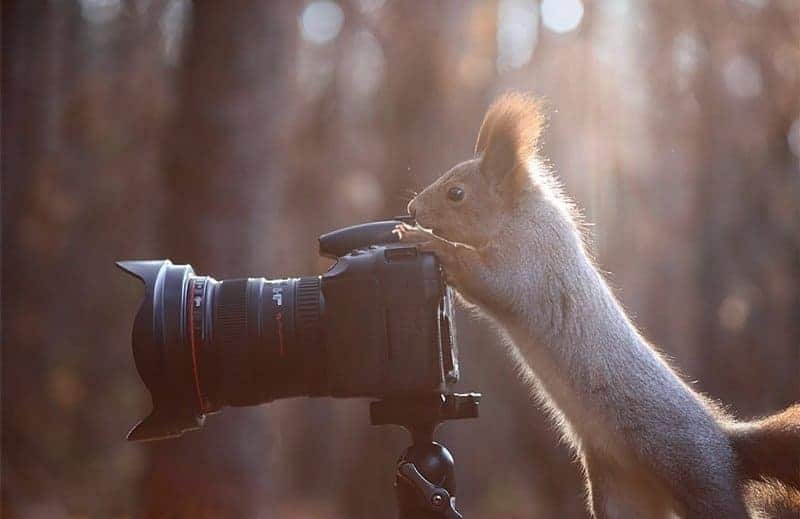 This little squirrel is taking a break after all the pictures he’s taken. 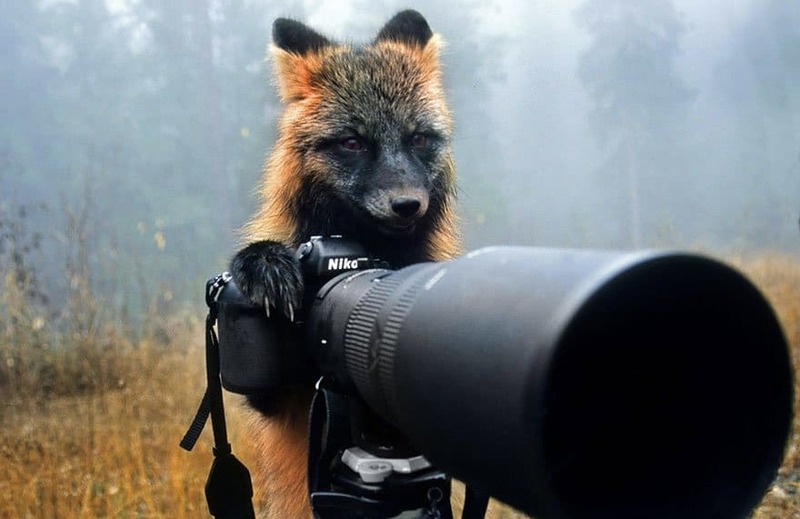 This fox is waiting for the right moment to get the perfect shot. 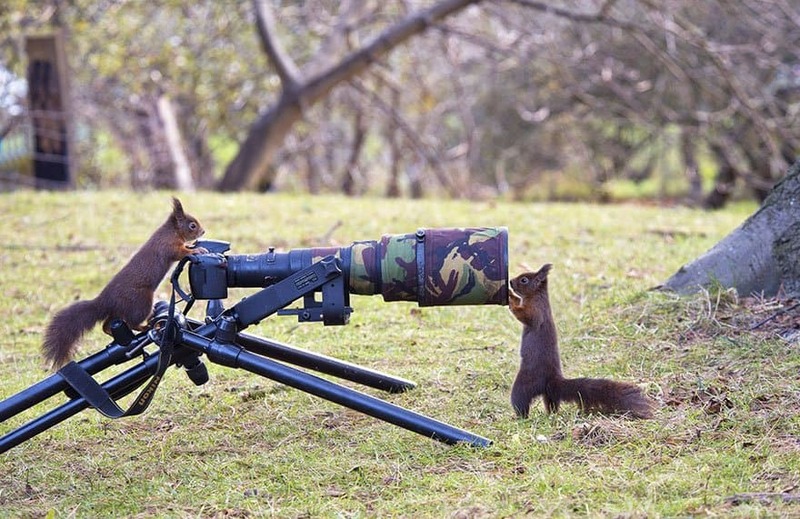 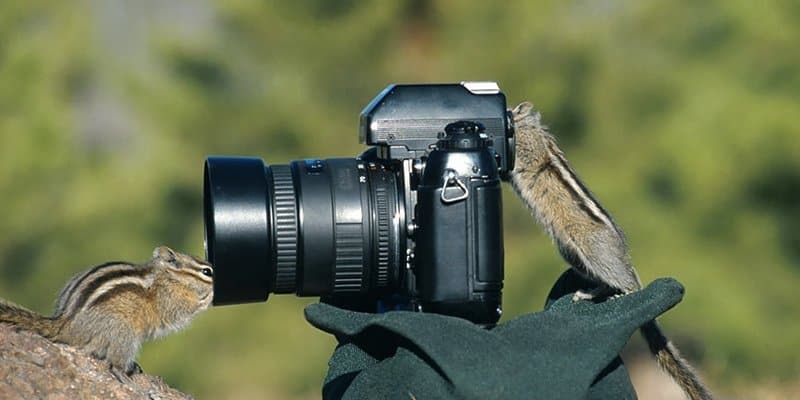 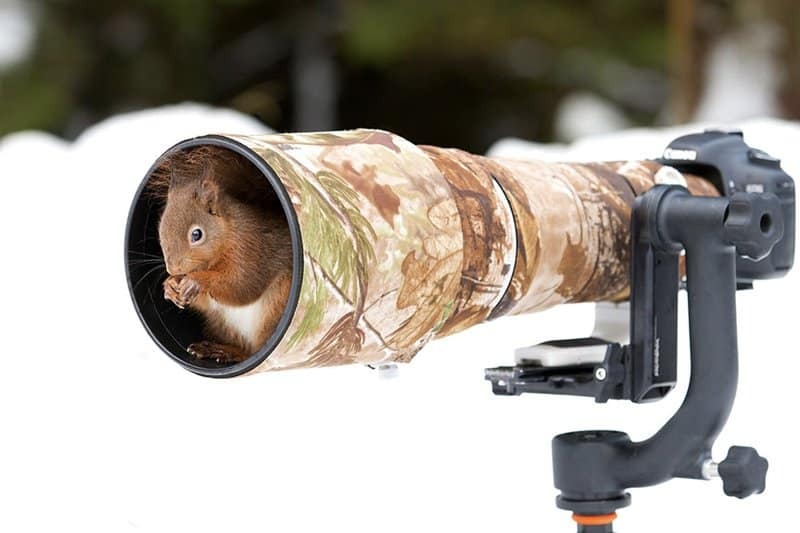 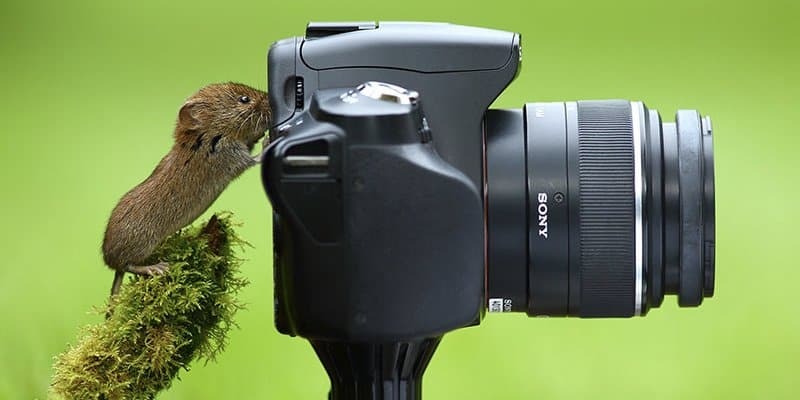 A chipmunk gets inside the viewfinder as he attempts to get a cool shot of his other chipmunk friend. 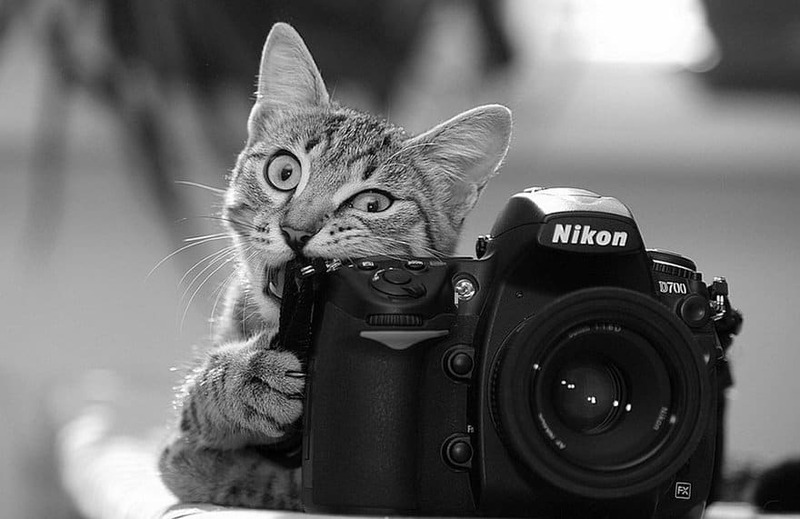 Dear kitty, you don’t bite the shutter button–you just press it! 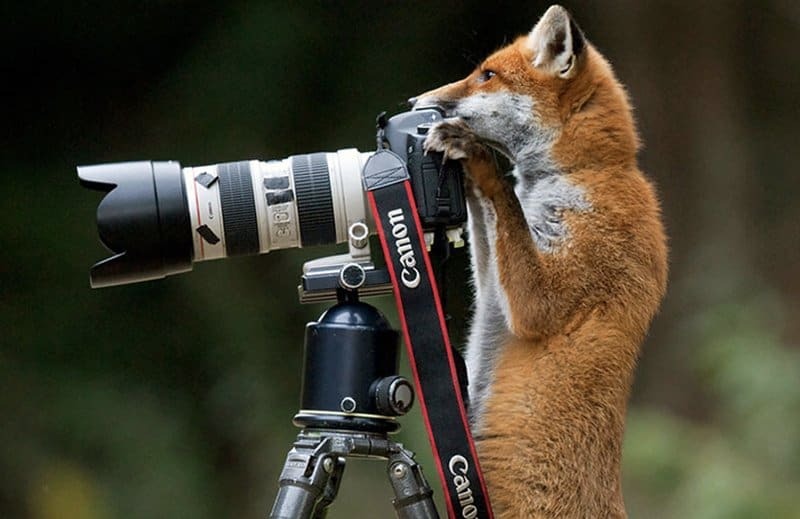 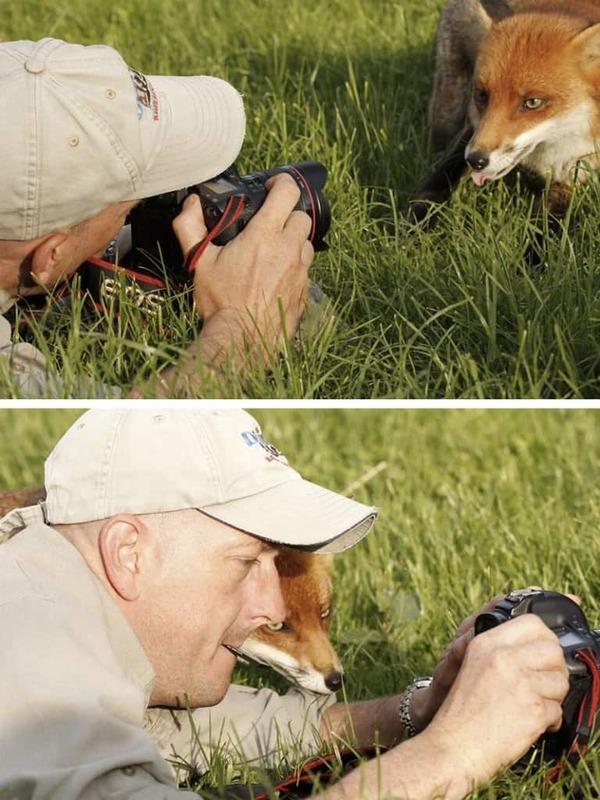 The fox is working it to make sure he gets the perfect shot. 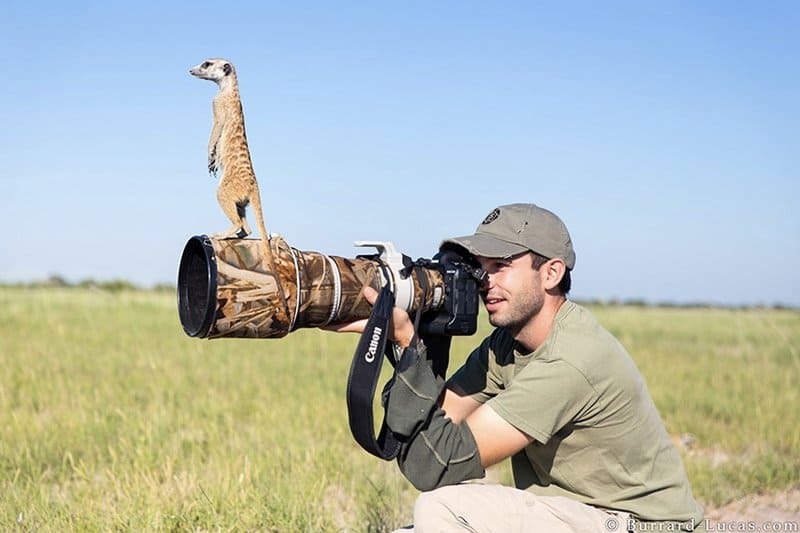 Meerkat helps the photographer see if the coast is clear. 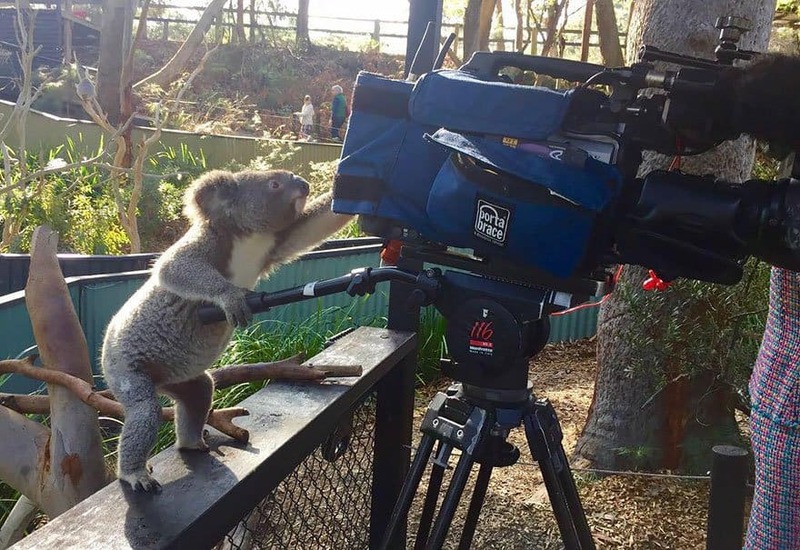 This adorable koala just left the jungle to join the latest TV crew production.